So what’s the Amazon status of his book currently? A bestselling author, marketer, and Inc. 500 entrepreneur. 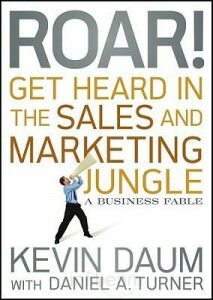 Kevin’s sales and marketing approach resulted in more than $1 Billion in sales with a 95 percent pull through rate. With over 25 years of experience in theater, finance and marketing (an odd but effective combination). As a National Columnist for Smart Business Magazine Kevin teaches companies how to pursue The Awesome Experience for their customers and has authored several books including Building Your Own Home For Dummies. 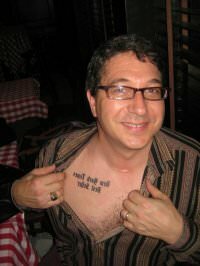 And finally, who would think of putting a tattoo on their chest that says, “New York Times Bestselling Author” but Kevin Daum? What a guy! previous post: Australia, Kangaroos, Blogs and Social Networking . . . Oh My!